Head over heels with wedding menus, maps and more used by brides of this season's Real Weddings. 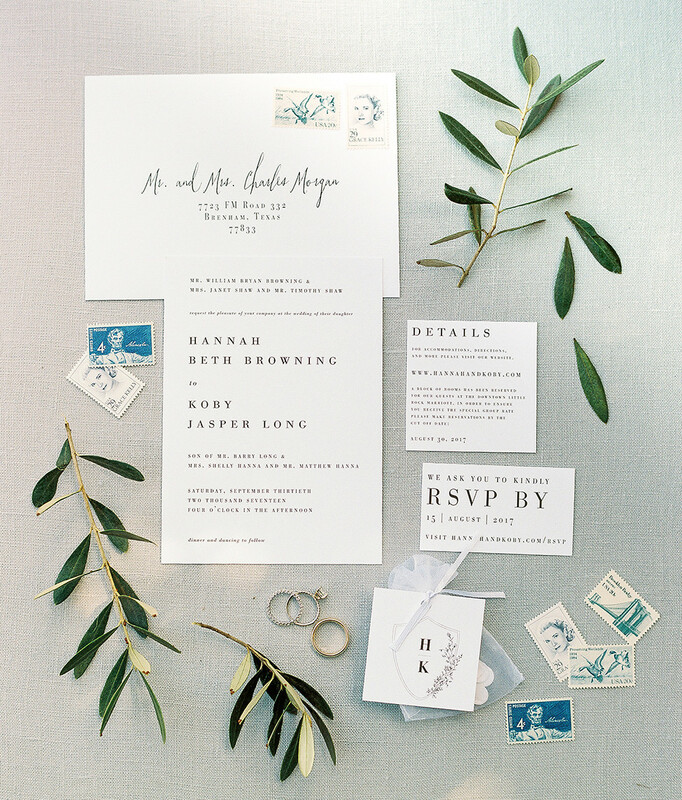 Bride Hannah Long sourced these gorgeous vintage stamps from the Little Postage House for her Moss Mountain nuptials. 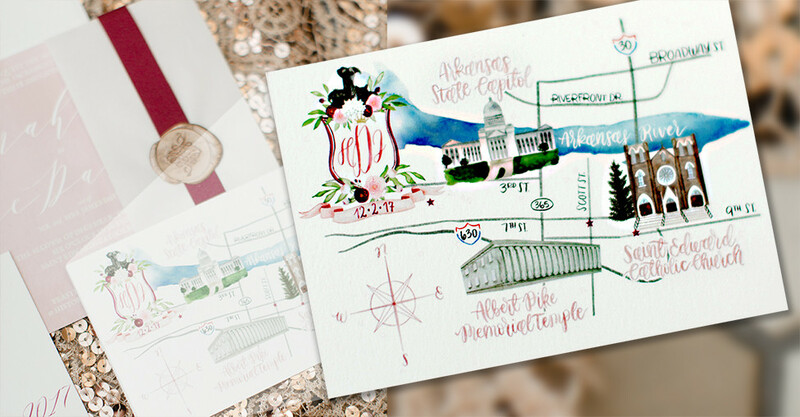 LPH gathers unused vintage stamps from across the country to curate gorgeous postage suites for brides — from patriotic and playful to floral and architectural. 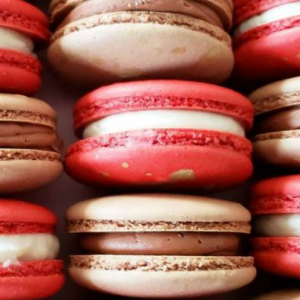 We’re suckers for super personalized details, especially when it comes to invitations. 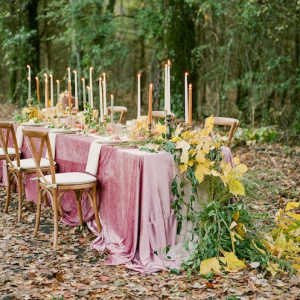 They set the tone for the whole wedding, which is why we adore Amelia Coates’ paperie from Minted.com. 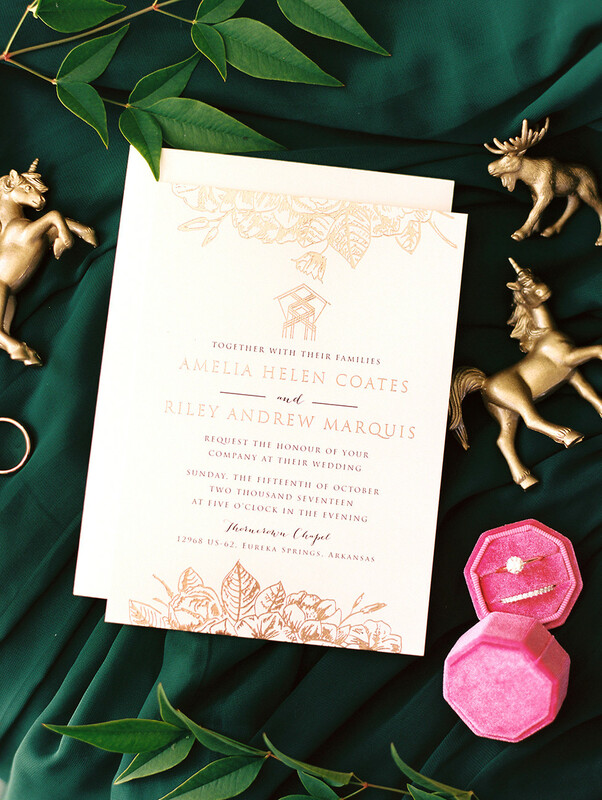 Her invitations boast the silhouette of her venue, Eureka Springs’ gorgeous Thorncrown Chapel. 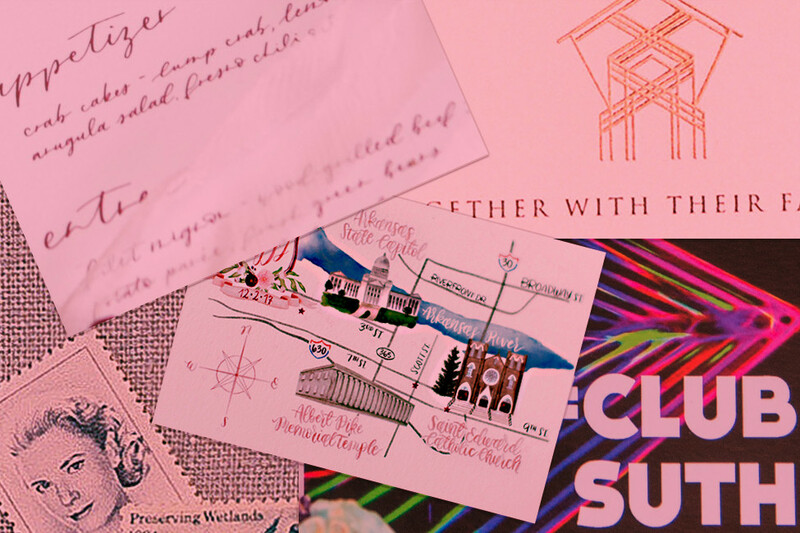 Cameron Sutherland doesn’t take things too seriously, opting for a wildly fun nightclub-themed reception, complete with custom stationery by Shindig Paperie. 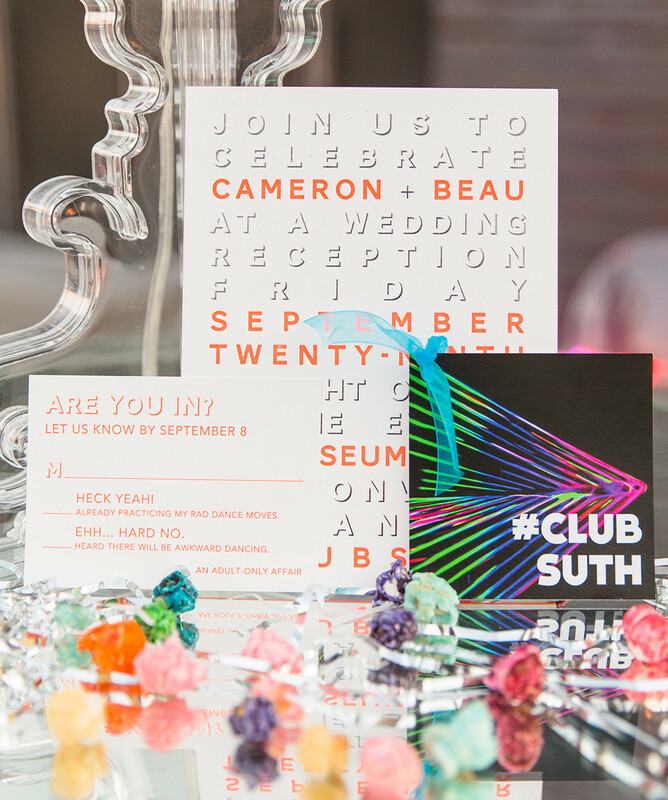 We love the casual cool wording for the RSVP card (“Heck yeah!” or “Ehh…Hard no.”) and the perfectly coordinated #ClubSuth hashtag. 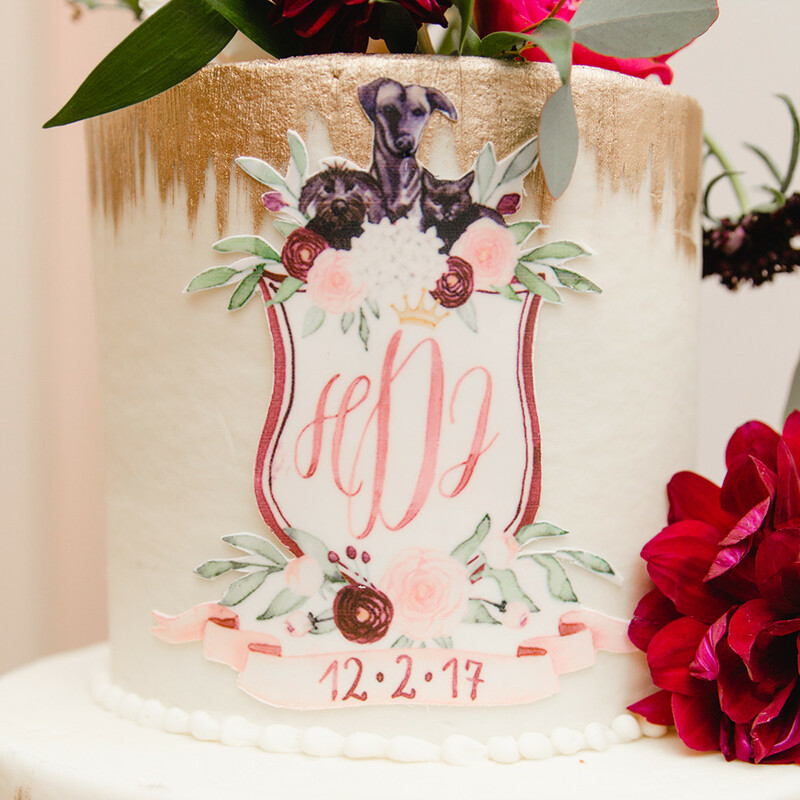 When Arkansas bride Hannah Davidson decided to incorporate a custom crest (complete with the couple's pets) into her wedding décor, she turned to the talents of artist Kortnee Senn of Studio Senn. The intricate crest was carried throughout the day, including on a watercolor venue map and on her wedding cake. 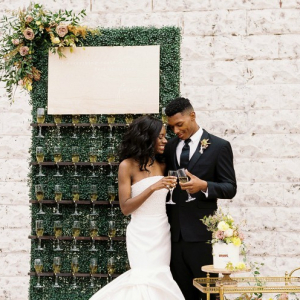 Cabbage Rose Florist introduced us to the beautiful creations of Paper Supply Co., a husband and wife duo in Little Rock specializing in custom designs and lettering. 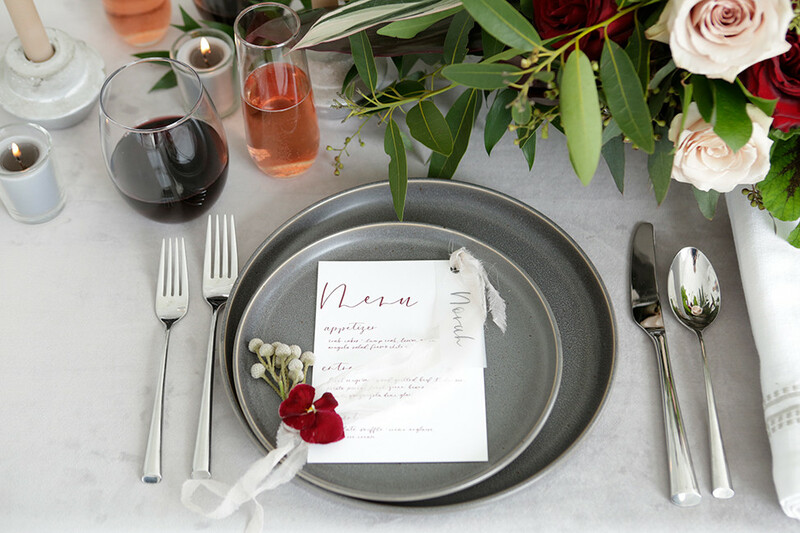 Owners Courtney and Brandon Newell made the gorgeous placecards and menus featured in Cabbage Rose’s garnet-inspired tablescape.